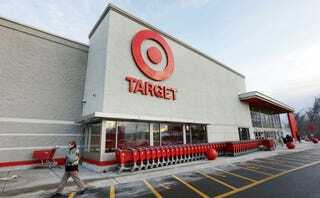 Back in 2013, Target suffered an incredibly embarrassing data breach where 40 million customer credit cards were compromised. Now, following lengthy discussions with the lawyers of those affected by the hack, the retailer has agreed to pay up a $10 million settlement. CBS News reports that the sum could see individuals affected by the data breach receive up to $10,000 in damages. The settlement was decided on March 9th, but it was only submitted to a federal judge for approval yesterday. While it's yet to be formally signed off, the settlement documentation is thorough—enough to include a draft of the form that victims will fill in to make a claim, as KSTP points out. If all goes to plan, a digital version of that form will appear on a dedicated website, where those affected by the breach will be asked to provide "reasonable documentation showing their losses more likely than not arose from the Target data breach (for example, a credit card statement, invoice or receipt)..." That will include up to two hours of "lost time" billed at $10 per hour for each type of loss.